As the conversation about Hawai‘i’s food sustainability hits a crescendo, here’s a ravishing idea: land conservation can play an increasingly vital role in securing—and forever protecting—agricultural lands for our working farms and ranches. In fact, of the 17,500 acres Hawaiian Islands Land Trust currently protects, 93% are agrarian. 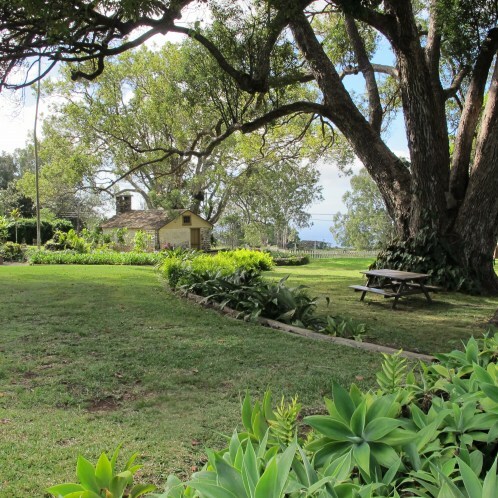 Non-political by design, Hawaiian Islands Land Trust is a non-profit organization committed to working with private landowners, community groups, community leaders and government partners to protect Hawai‘i’s precious places. Using a variety of tools, we help landowners integrate conservation into their land use plans in perpetuity. Quite often the main barrier to sustaining agriculture in Hawai‘i is the price of land. Because of high demand for real estate, the cost of undeveloped land can be astronomically high—hundreds of times more than agricultural activity could economically support. Plus, with land values that have skyrocketed in the last few decades, it’s increasingly harder for family-run farms to pencil out paying hundreds, thousands, even millions of dollars in property taxes. Conservation/ agricultural easements were used by Hana Ranch and Ulupalakua Ranch, both members of Maui Cattle Company, to protect their lands. A conservation easement is a voluntary agreement in which the landowner permanently limits the type and amount of development that can take place on a parcel of land. This agreement requires the Land Trust to protect the land forever, even when ownership of the land changes. Sometimes, the Land Trust purchases a conservation easement. More often, however, a landowner will donate an easement in order to place protective restrictions on future uses of their land. Please take a few minutes to enjoy this slideshow and learn about our work to preserve our island’s agricultural lands. You are sentenced to a feast for the senses at this private dinner in the Old Jail at historic Ulupalakua Ranch. Your hosts, edible Hawaiian Islands magazine, will usher you through a localicious dining experience created by the dynamic Jana McMahon, celebrity private chef. With help from Whole Foods Market, the season’s best from Maui farms and ranches grace the plate in ways that will make your mouth water and heart sing. And sing it may! From the destination of your choice a limo will drive you and 7 of your friends up to Ulupalakua Ranch and its 11,000 acres conserved forever for farming and ranching. As the setting sun casts its glow, the charming and meticulously maintained winery grounds become the backdrop to a night to remember. Begin in the rustic open-air Pavillion for pupus—sumptuous sounds of steel guitar by Joel Katz fill the crisp mountain air, wine pours freely, laughter abounds. When called by the Chef, proceed to the Old Jail, a building used by Capt. Makee himself in the 1800s, for an exclusive seated dinner that is history in the making.